In the spirit of lifelong learning—in the spirit of chasing a 10K as an aging adult—I began to work on my singing at the age of 46. I studied it fairly consistently until I was diagnosed with breast cancer. I am now 54. My reasons for getting started are chronicled in a long poem, Voice Break, which is mainly about the foibles of an adult new musician (and a little bit about learning to write poetry). 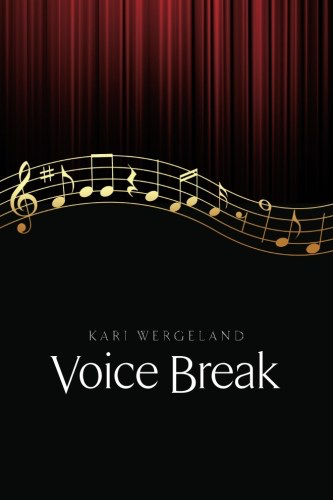 Voice Break covers the first two years of my voice lessons. 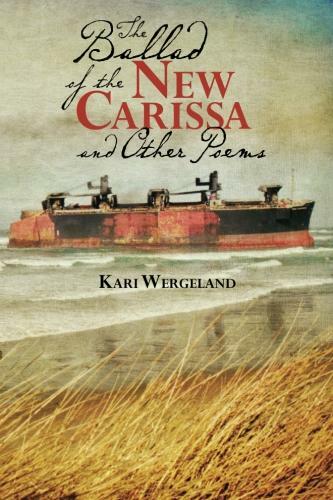 By the end of the poem, the singer—moi—has just completed a semester of singing with the Cuyamaca College Choir (in El Cajon, California). I continued to sing with them for another semester and then moved to their sister college to work with the Grossmont Master Chorale. I now have more than 8 semesters of college choir behind me. During those years, I also studied singing with a voice teacher, Esther Jordan. I am not writing this piece to make any claims about my voice—though my singing has improved. I’m revisiting this thread of my life because cancer treatment may drastically change the quality of my sound. As I move from the chemotherapy unit to radiation oncology, I find myself wondering if I should continue singing when and if my life returns to normal. Singing did help me feel better during the first two months of this ordeal. I practiced when I could, though not every day. I knew it was time to stop when I began chemotherapy. This was mainly because my medical oncologist put me on steroids in an attempt to ward off an allergic reaction to the infusions. I was pretty certain the steroids would wreak havoc on my vocal cords, and I did get some validation on this hunch. Around the time I was taking the steroids, I was told my speaking voice sounded different. In addition, my medical oncologist warned me the Taxotere/Cytoxan infusions I ultimately faced would probably force me into menopause. She turned out to be spot on. The chemicals quickly shut off my reproductive system, as if to close that valve with one big yank. Though this was a side effect of the chemo, it was an outcome my doctors wanted. Overexposure to estrogen is the likely reason for my breast cancer. If my reproductive cycle starts up again, my oncologist plans to shut down my ovaries with a monthly shot. Granted, I would have dealt with menopause if I hadn’t gotten breast cancer. I’ve just been thrust into the change rather abruptly. I don’t know how this shift in hormone levels will affect my singing. So now I beginning six weeks of radiation. Fortunately, I won’t be taking any more drugs for a while. However, they are radiating the lymph nodes above and around my clavicle, along with the incision sites. I did wonder if this would harm my voice box as my lungs are at risk for minor damage. My radiation oncologist has reassured me my vocal cords should not be harmed by the radiation treatments. There’s more. Once I am completely finished with the three big cancer treatments – surgery, chemotherapy, and radiation – it is likely I will need to take Arimidex for five years to ward off breast cancer recurrence. This may be the most important leg of my treatment, according to my medical oncologist. The cancer came on pretty fast. I did ask her if Arimidex affected the singing voice in any way, and she said she’d never heard anyone complain about this. I recently added some light singing practice sessions to my routine. As a cancer patient, I’ve learned to engage in anything that makes my daily existence seem normal—it’s easy to feel as if one has dropped out of life during the treatment process. Singing practice does evoke memories of a healthier being. It is also a joyful act, which can only bring on unseen benefits. So far, my voice doesn’t seem overly different, though I haven’t yet tried to record it to find out if my sound has changed.